LCGOP Executive Committee with Congressman Duncan. From left, Duncan, Jim Todd, Brenda Stewart, Janice Long, Shellie Carles, Josh Urwick and Becky Kirkland. 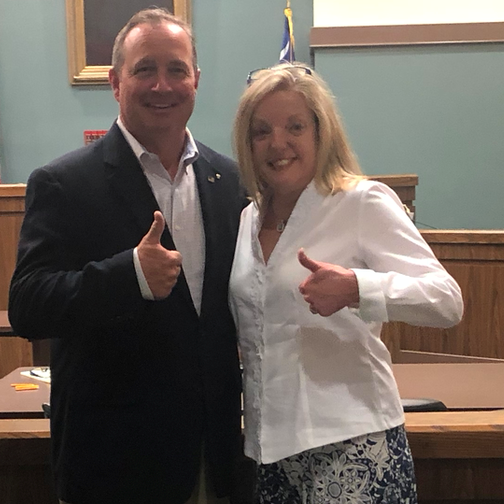 The Laurens County Republican Party held its Convention at the Laurens Courthouse on Saturday. At the convention, held every two years, the group of delegates from the county’s 34 precincts come together to elect county-level executives to lead the group. This year’s reorganization process and convention was one for the record books. Laurens County Republicans came out in large numbers to organize precincts and sign up to be delegates to the convention. The official records from the state GOP office reflect that 28 of 34 precincts were organized and over 121 people signed up to be delegates to the county convention. These numbers reflect a 600 percent increase over the convention in 2017. Willis served as parliamentarian at the convention, while Councilman Stewart Jones served as convention president and presided over the meeting. Elected to lead the organization was longtime conservative and Clinton resident Brenda Stewart. Stewart, a community leader and Republican volunteer, ran on increasing membership and young voter participation, working with elected officials, supporting Republican candidates and promoting a conservative agenda. Former Representative Mike Pitts attended the convention and was presented with a State House Resolution by Rep. Mark Willis. The resolution recognized Pitts for his many years of service. Pitts was also honored earlier in the week in Columbia when he received the Order of the Palmetto. For more information about the LC GOP please contact Brenda Stewart at (864) 449-7700 or brenda@stewartmarketingandconsulting.com.